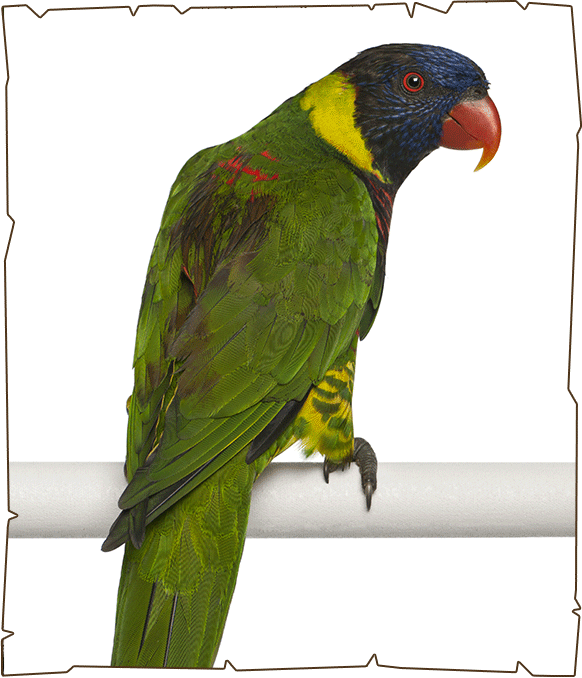 The ornate lorikeet is a monotypic species of parrot in the family Psittaculidae. It is endemic to Sulawesi and nearby smaller islands in Indonesia. It is found in forest, woodland, mangrove and plantations, and is locally common. Ornate Lorikeets favour mountain forest edges and overgrown scrub, and frequent villages bordered by dense cover. They are most commonly seen in pairs or small flocks and feed upon flower blossoms, nectar, pollen, fruit and some greens; insects may be taken as well.